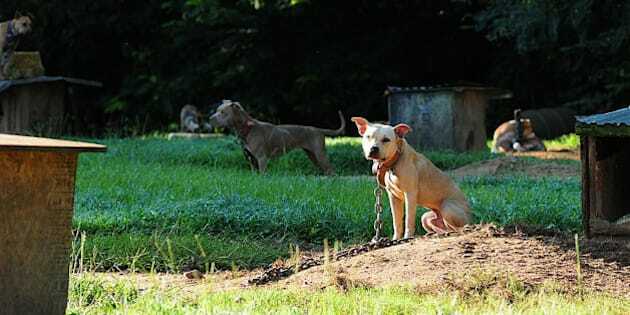 LOS ANGELES, Calif. - Young people who torture and kill animals are prone to violence against people later in life if it goes unchecked, studies have shown. A new federal category for animal cruelty crimes will help root out those pet abusers before their behaviour worsens and give a boost to prosecutions, an animal welfare group says. Officers will start to see the data are facts and "not just somebody saying the 'Son of Sam' killed animals before he went to human victims and 70-some per cent of the school shooters abused animals prior to doing their acts before people," said Thompson, a retired assistant sheriff from Prince George's County, Maryland. The new animal cruelty statistics will allow police and counsellors to work with children who show early signs of trouble, so a preschooler hurting animals today isn't going to be hurting a person two years from now, Bernstein said.